Not all of us will have the advantage this year of having Jillian with The Biggest Loser on our case to motivate us to lose that extra weight we gained this winter. But we CAN begin to develop some consistent, healthy habits such as drinking lots of water, eating more fresh fruits, vegetables, and grains, and moving our bodies much more to get fitter and healthier. Yeah, yeah, we know the drill – we just need to DO it! 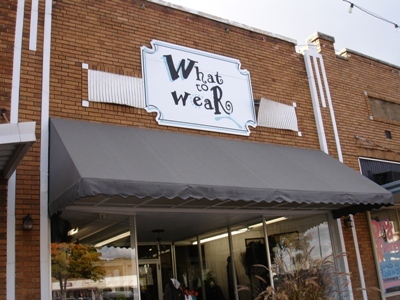 This afternoon when I went to the post office, I stopped by one of my favorite places in town to shop, What To Wear. It has the cutest clothes. Then the reality of this winter’s gain of unwanted pounds hit me as I tried on different clothes! What extra weights are you carrying around now that you need to leave at the cross with Jesus? Whatever it is, God can help you to ligthen your load and to give you rest in His presence. Jesus wants us to “pack light,” so that we will be unencumbered for the journey of life. Let’s work hard this year to “pack light” for the journey, laying aside every weight that would set us back from our dreams and goals, and from obeying God. To hear more about traveling light this year, tune in here to my podcast, Pack Light.